There are many reason to choose Crown Oil to supply and meet your demand for red diesel in Cheshire. Our efficiency and competitive prices are just two reasons why. For over 65 years, we have been a leading red diesel supplier in the Cheshire area. Priding ourselves on unbeatable customer service, product quality and delivery options; whilst also offering same day and next day deliveries when you need fuels in an emergency. If you would like to find out more, you can give one of the team a call on 0845 313 0845 and they will be able to answer any questions you have and provide you with the latest red diesel prices. Whether you’re buying 205-litre barrels of red diesel or bulk quantities of 500 – 36,500 litres of gas oil Crown Oil will always provide you with the highest-quality service. From ordering your fuel to your delivery and beyond, our experienced staff are available 24/7 to help. Excellent service means nothing if it isn’t combined with a quality product. Crown Oil deliver the highest-quality red diesel fuels for your tractors, plant, machinery and generators. As a quality red diesel supplier in the UK, Crown Oil can deliver gas oil in all areas of Cheshire and surrounding areas, quickly and efficiently. Call us today on 0845 313 0845 for a free quote! At Crown Oil we pride ourselves on quick deliveries and full availability on fuels including red diesel. Whether you require gas oil next month or next day we can supply you with fuel in almost any quantity when you want it. We can also deliver more than one fuel at one time for example, you may require 10,000 litres of red diesel and 5,000 litres of heating oil. 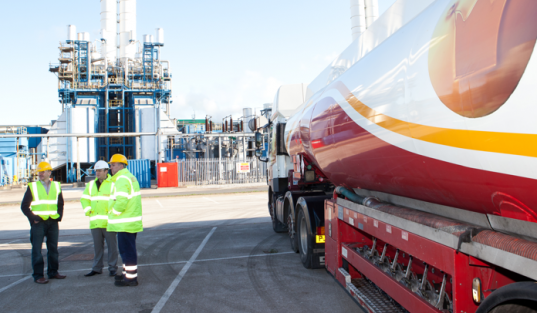 We can deliver both fuels to you at the same time to cut down on time and cost. All of our fuels can be ordered this way. If you would like to learn more about our red diesel delivery service in and around Cheshire. Give us a call on 0845 313 0845 to learn more and have one of our team answer any of your questions. Bordering both Greater Manchester and Merseyside, the beautiful county of Cheshire lies perfectly situated in the north west of England. Thousands of businesses thrive here and as a result require fuels on a regular basis to help keep their operations in full swing. As well as businesses, domestic fuel users in Cheshire also rely on Crown Oil to deliver their heating oil and red diesel to help keep their homes warm and cosy; especially in the winter months when the temperatures drop considerably. We also offer a range of services including emergency red diesel deliveries, fuel uplifts, waste fuel collections and free fuel management. If you’re ready to learn more about our red diesel delivery service, give us a call us on 0845 313 0845 today and get ready to start making savings on your fuels and lubricants.